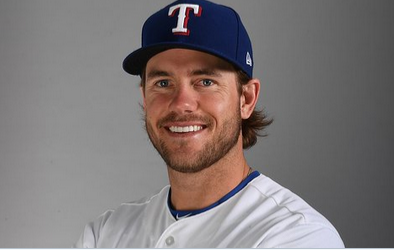 Home » Texas Rangers » Rangers reinvent concept of opener. 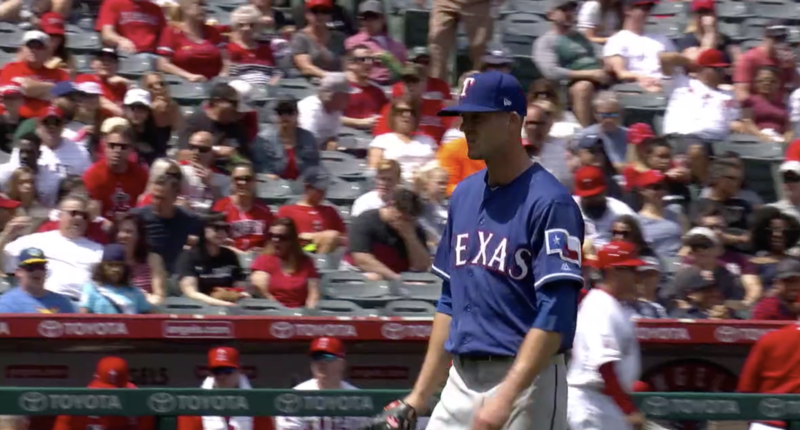 He should have stopped at 89: Rangers starter Drew Smyly exits in the fourth inning after throwing 90 pitches. Pitch 90 was a grand slam to Mike Trout. The Rangers are revolutionizing the concept of the opener. For generations, the opener was a relief pitcher who started the game and went just few innings, then the game was turned over to the starter who pitched an inning or two until the bullpen comes in to close it out. This was done to spare the starter of the arduous task of having to pitch six innings. It was an idea that worked fine all those years. But, like with everything, someone always finds a better way. And that someone is the Texas Rangers. 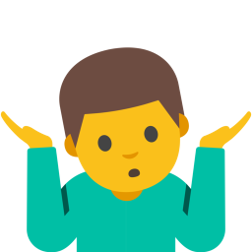 Their new concept is to open the game with a starter, have him go just a few innings, then bring in the bullpen where the starter used to come in, and finally have the bullpen comes on to close out the game for the bullpen. So far, out of 79 total innings pitched this season, only 42 have been logged by a starting pitcher. In nine games, only three times has a starter made it past five innings, and only twice into the seventh. The concept of a quality start doesn’t apply to the Rangers. Their starters don’t throw enough innings. The Rangers went into the season with a precarious rotation. Five starters with six Tommy John surgeries among them. After Thursday’s game, Edinson Volquez left with elbow soreness. It doesn’t look good. Suddenly, the Rangers rotation has a hole. Chances are great Volquez won’t be the only one going down. Drew Smyly didn’t pitch at all last season. So, every inning he throws, even though it’s just three a game, he is exceeding his innings total. It won’t be long until they start monitoring his innings. But what does that mean? Cutting him down to two innings per start? Shelby Miller pitched just sixteen innings. Just four more starts and he will exceed his total from last year, and then he will be on the watch list. Texas won’t just be in desperate need of rotation arms soon. 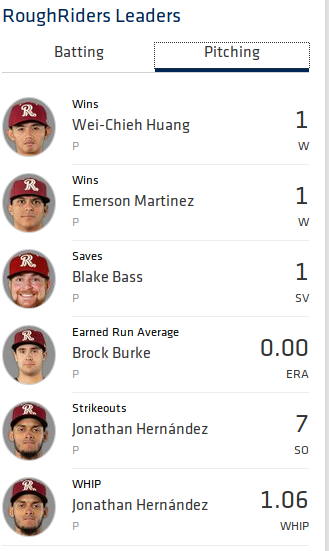 With most starters barely making it through three innings, that leaves five or six innings a game the bullpen is going to have to work. That means it won’t be long until guys get overtaxed. Or, long guys become starters and short relievers are asked to do what they aren’t capable of. And then, when the pitching caves, the offense starts feeling pressure to score seven runs a game, which is never a good thing. In other words, it’s going to be a real mess soon. What a shame. It could have been prevented. But hey, we’ll have a roof next year. Well Kevin, you just about covered it. I was thinking along the same lines, but didn’t take it nearly as deep. It’s already bad, but has the potential for turning into a real supersized mess. Guzman is more than likely out 4 to 6 weeks. The Rangers need a replacement. The options are let Gallo play first and call up an outfielder from Nash or call up a frist baseman from Nash. Admittedly there are a lot of other metrics that I don’t have, such as defensive ability, etc. But, that’s the data that I have readily available. 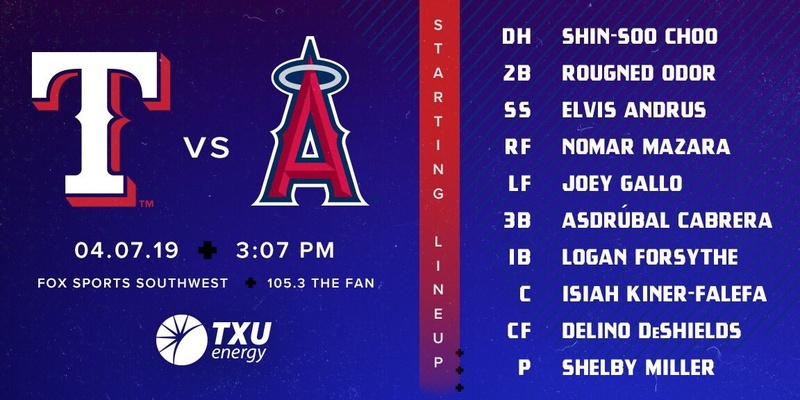 Start Pence in left and move Gallo to first, bring Tocci up for 4th outfielder. And find some better pitching……. I reckon they will make a move this evening or tomorrow. My money is on Davidson as to not upset the apple cart. The complications were detailed in today’s Dallas Morning News by Evan Grant. 1. They could move Gallo to first and bring up Calhoun. First base was going to be Gallo’s position last year until injuries forced them to move him to the outfield, and bring up Guzman. 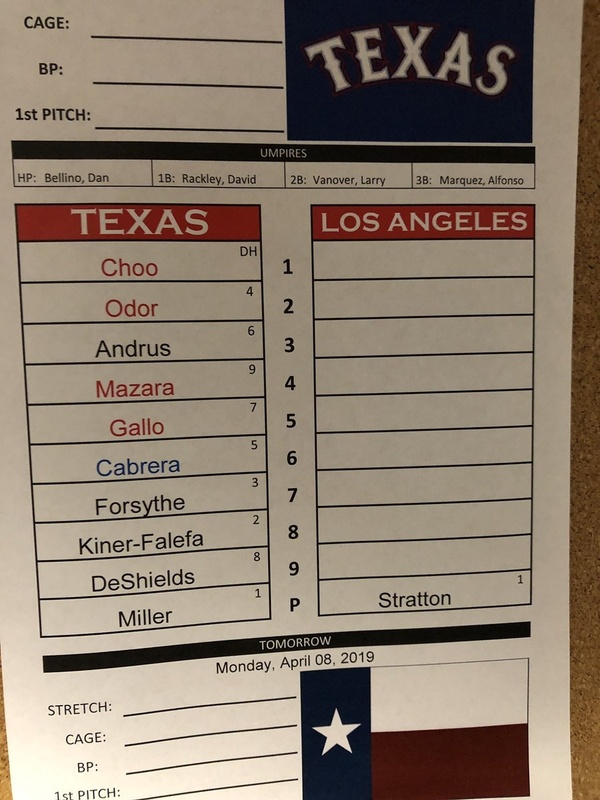 They now see Gallo as an outfielder and Chris Woodward doesn’t want to move him to first temporarily since it will stunt his outfield growth. 2. They could call up either Matt Davidson or Patrick Wisdom. Davidson has major league experience and is more major-league ready than Wisdom. But, Davidson isn’t on the 40-man roster and Wisdom is. If they bring up Davidson, they would have to drop someone from the 40-man. That could be Volquez if his career is over or if he is moved to the 60-day DL, but they won’t know that for a few more days. Davidson is out of options. So if they do put him on the 40-man roster, when Guzman comes back, they would have to keep him or risk losing him to waivers. Wisdom is the easier of the two to call up now since he has options and since he is on the 40-man. But he’s not as ready to hit major league pitching. Well……. you know JD will sign a body to come in, or two. Then it will be all the young dudes from the farm that are not ready. Going to be an interesting merry-go-round throughout this season. Lots of guys with options out there so they can bring them up and send them back down at will to keep fresh arms among the 13. Kevin, r.e. our discussion of coffee cups. 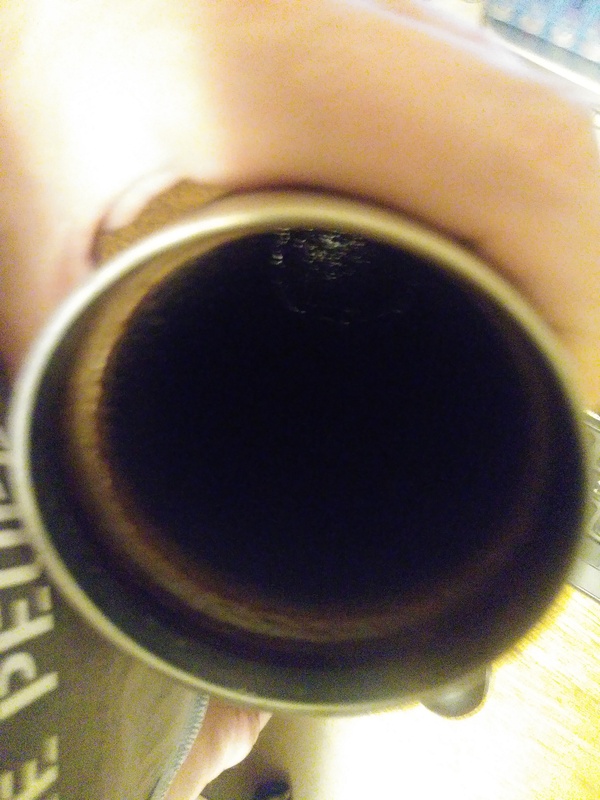 The inside of my 20 oz yeti tumbler that I absolutely loved until all the after market ones came out at one third the price. Don’t ask me why, it’s just a Navy thing. A little birdie told me that Wisdom is on his way. Sometimes birdies lie. Sometimes they don’t. How badly is Guzman hurt? Hamstring pull, expected out three to four weeks. Those things are so tricky. Luckily missed the last two Trout 6 RBI whuppings and the pitching meltdowns. But even if the pitching is good it’s hard to win when the boys only score one run per game. Several slumps seem to have crept up on us. Just in case it slipped by anybody without them noticing, today is National Beer Day. Heineken. St. Pauli Girl. Stella Artois. Northern European lagers. O.K. help please. Frisco has “sensory-safe area locations.” What, forever, are they talking about? Reed Anderson is shoving at Down East, scoreless through 4. Woodies scored four in bottom of the 4th so leading 4 to zip. Just found out Anderson had a no hitter going. Still pulled after hitting his pitch limit. 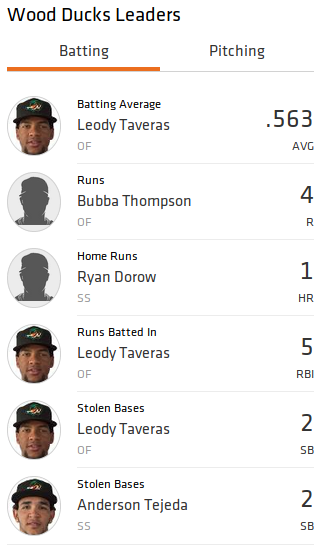 The Blueclaws are putting the hurts on the Crawdads five zip and batting bottom of the 4th. Word of advice for Woody, as the all the joy in Mudville seems to be dissipating quickly… WALK TROUT!!!!! 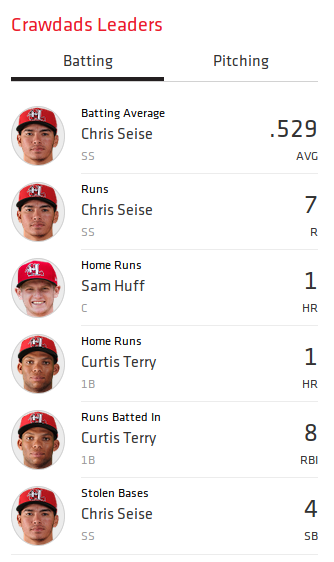 Jose Trevino just broke the tie for the lowest batting average in Nashville. Now batting .100. He was tied with Calhoun at .111. Odor 2nd? He hasn’t hit a horse apple(or Osage orange). Will the Rangers win today? They need to start scoring again. They need to score early. Angels have a good bull pen. How is Guzman hurt badly ? 2nd grade hamstring strain. So sort of middle of the road. How long he’ll be out remains to be told. Baltimore just put a new pitcher in the game. Hanser Alberto! 1-for-13 with seven Ks so far in this series. And that single cost a runner in scoring position. I don’t know, The ump said he did. I couldn’t tell. so when do Rangers score big? And with one swing in the 2nd. 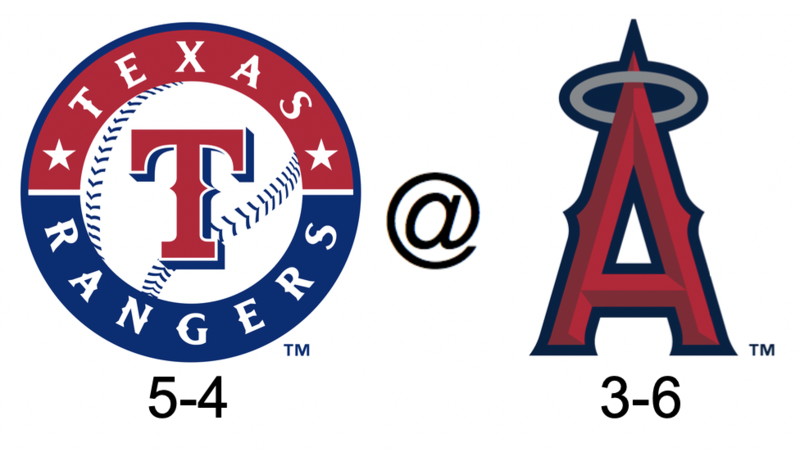 The Rangers have scored as many runs as they have in the last 2 games combined. Let’s just hope they can keep Trout at bay. Keep the bases clear and have at least a 2 run lead for every one of his ABs and it won’t be a problem. I remember when Pujols used to be the threat Trout is. Better get a lot of outs quickly. Trout is looming. JD should be fired for this pathetic excuse for a rotation. Forget about Trout, if our starters can’t even go 2 innings without getting into trouble we have bigger fish to fry. This lineup is not good. If the Rangers would quit giving them gifts. Rouggie worked a walk! Rouggie worked a walk! Elvis, number 2 would be nice. Rangers look like the Angels that first night. Off day tomorrow, go ahead and use the pen. This is how bad this team is. A .067 pinch hitter replaces a .038 hitter. Hey JD! The Tommy John Squad is lasting fewer innings each start! Two nice catches to end the last two innings. This is just one of those ugly games where nothing goes right. When your starters can’t make it into the fourth inning, expect a lot of ugly games. I just hope the live in Chinese chef/maid/massseuse brings me something good to eat. That and a beer should improve my mood which right now could use some improving. Profar is hitting .106 and made 2 errors. That helps my mood somewhat. Wonder if which ever team loses this game will blame it on the bees? Just walked in the door… good timing. Let’s do this, Choo! Come on Rougie. Don’t try to do too much. Odor swung at ball four. And CJ says, “That pitch might have been inside.” Really? That was six inches inside. No might about it. Quit coddling these guys. Very few brain cells running what comes out of either of those mouths. Nadel said it was high and inside. Nadel pointed that out in a very poignant manner. 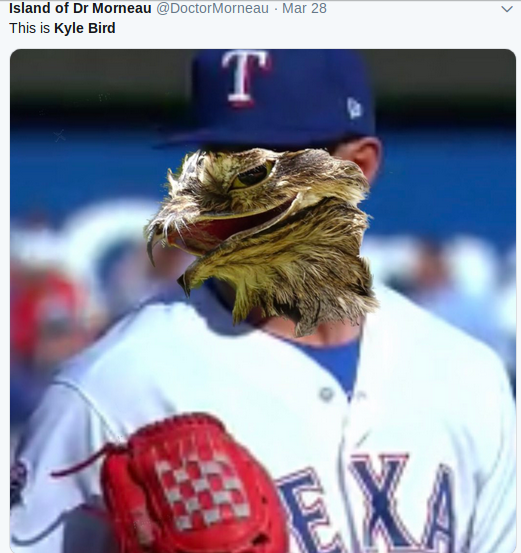 Wonder what Kyle Bird’s Twitter handle is? Tweety Bird or Putty Tat? Anyone care to explain why Odor is still hitting in the # 2 spot? @#$@#$@# @#$@#$@#$ STOP PITCHING TO TROUT! @#!@#!@! Looks like we’re pitching batting practice. Nashville is in a raid delay. They are losing 5 to 3. Calhoun is hitting .125 so isn’t helping much. I wonder, despite all the right things he said, is he moping again? Last year all over again? I hope not, Hope it’s just a rough stretch. Shame you couldn’t walk last AB Choo. 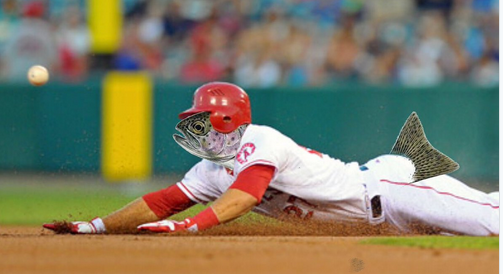 But then we pitched to Trout so it’s not like we are learning much. Just walk Trout. As long as the guy behind him is batting sub .080 don’t bother with him. First base doesn’t have to be open and their doesn’t have to be someone on base. Please give me anything but outs Gallo. 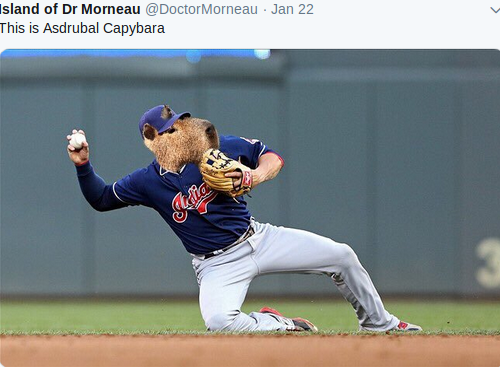 Can you believe he has never hit a sac fly in his career? I read that the other day. Crazy. Next year JD will go shopping at Dollar Tree for Starters. Well he tried Five Below this year. And after 2 starts they look like they belonged at Dollar Tree so JD just decided to got to the source. Starters won’t do you much good when you only score one or two runs. The whole team reeks right now. It’ll get better, I hope. Let’s see if they have a miracle in them today. Thought we already had that . . . it’s why we aren’t 1-9. 4 runs in the last 3 games. Can someone tell the Ranger Broadcasters we don’t care to hear them gush about Trout? Pitchers and some clutch/ situational hitting would be nice. Not even though the rotation yet. A good group to keep an eye on. What’s up fans? You all know the Rangers are in the 2nd year of a major rebuild, right? It ain’t going to be smooth sailing. You all sound like a bunch of Sad Sacks. Enjoy it for what it is. Rangers just got crushed by the big Halo hiting machine. End of story. Trout had over 1.900 ops. In the series. Lol. And Woodward made mention the other day about pitchers learning how handle trout. Hopefully he just saves them from themselves, steps out and points to 1st next time around. Looks like Wisdom is the man with Forsythe taking over at 1st? ← One of these is not like the other.